Wichita, Kansas is the largest city in Kansas, with an estimated population of 391,586 and whose greater metropolitan area is home to over 630,000. The growing city is an industrious hub of Kansas arts and culture, but its youth are grappling with substance abuse, addiction, and drug-related death. While overdoses and drug-related deaths are statistically lower state-wide than the national average, it is still a major problem affecting Wichita’s youth. Drug overdose and deaths in young people age 12-25 has quadrupled in the past 15 years in Kansas, with only one state in the nation seeing a bigger jump, according to a 2015 Trust For America’s Heath report. If you live in Wichita, and have fallen victim to substance abuse don’t hesitate to seek treatment. There are enormous resources in at your disposal. The primary drug of choice in Wichita is Marijuana, though the main drug threat is currently methamphetamine, according to the U.S. Department of Justice. Methamphetamine is both locally produced in homemade meth labs as well as trafficked by Mexican criminal groups from southwestern states and California. Meth is readily available in Wichita communities, through street gangs and local independent dealers. The availability of meth makes it accessible to teens and young adults, while crime groups target young people to distribute the drugs. The use, production and distribution of meth, as well as the meth lab seizures contribute a great deal to the number of violent crimes in Kansas, including violent assaults and murder as well as property and environmental crimes. The second biggest drug threat in Kansas is cocaine, particularly crack cocaine. While pure cocaine is available in some regions, Crack-cocaine is most prevalent in urban areas, and amongst young people. Meth and cocaine are two of the most addictive drugs available, and are in high demand in Kansas. Mexican cartels hold a monopoly on cocaine production and distribution, but independent street dealers are also common distributers at a retail level. While marijuana, meth, and crack cocaine are the historically the primary drugs of choice in Kansas, there is reason to believe that prescription opiates and heroin use is also on the rise, especially with the younger demographics in Kansas. Binge drinking has also become an issue for young people in the area, with significantly higher rates in teen and adolescent females than young males. Kansas has a well-developed public transportation framework and is centrally located in the United States, making it a major transport hub for illicit substances. Drug traffickers predominantly use private and commercial vehicles to transport drugs throughout the state via land. The main mode of trafficking in and out of the state is by Kansas highways. Interstate 70 and 35 are the main routes taken, I-70 being a major east/west highway, and I-35 runs north/south. The Wichita Mid-Continent Airport provides drug traffickers additional means of transportation via commercial aircraft, by way of recruited couriers. Buses and passenger trains are also used by drug transporters to traffic drugs, though to a lesser extent. Operation Pipeline is a national highway program formed in response to high-level highway trafficking, in efforts to stomp out drug trafficking through these major hubs. Operation Pipeline is supported by the Drug Enforcement Administration (DEA) and El Paso Intelligence Center (EPIC). As the county seat of Sedgwick County, Wichita is a part of a High Intensity Drug Trafficking Area. A High Intensity Drug Trafficking Area (HIDTA) program has been put in place to coordinate efforts among local, state, and federal law enforcement agencies to control drug trafficking thorough these high intensity areas. The program collaborates with agencies and outfits them with equipment, technology, and resources to fight against drug trafficking and it’s harmful consequences in high-traffic regions of the United States. Grants from the Federal Government have also been awarded to states in an effort to reduce substance abuse, addiction, and it’s consequences. In 2012, grant funding and programs totaling $95,553,826 was provided to various state and local governments, schools, and law enforcement agencies for the purpose of combating substance abuse in Kansas. Mexican criminal groups are the main offenders responsible for illicit substance trafficking into Kansas. These groups acquire wholesale quantities of methamphetamine, crack cocaine, and marijuana in Mexico, California, and southwestern states, and enlist Mexican immigrants to transport the drugs into Kansas. The Kansas Bureau of Investigation estimates there are 10-20 Mexican criminal groups operating in Wichita and surrounding cities, with between 2-100 members per distribution group. Outlaw Motorcycle Gangs (OMG’s) are another large group of Meth and Marijuana distributors in Wichita, along with independent caucasian street dealers distributing illicit and addictive substances at a retail level. One of the many reasons to seek treatment if you’re struggling with substance abuse and addiction is to avoid legal repercussions associated with drug use, purchase, sale and paraphernalia. If you or a loved one struggle with addiction or abuse, call us today to start on the road to recovery. While the percentage of Kansas residents who reported abusing illicit substances is lower than the national percentage, the most recent NDIC studies (recorded in 2001) showed that drug-related federal sentences in Kansas were higher than the national average. The number of methamphetamine related charges in Kansas were more than double the national average. Violent crimes, particularly friction between street gangs and criminal groups over territories and drug debts, are especially concerning. Many meth addicted individuals also commit violent crimes and property/environmental crimes such as theft to support their addictions. Marijuana is illegal in the state of Kansas, and while it has been decriminalized, possession can still result in fines and a 42 month jail sentence. Possession of methamphetamine and cocaine is a level 4 drug felony, which can come with a sentence of a maximum prison sentence of 42 months, and a fine of up to $100,000. It is also illegal to possess specific “precursors” or ingredients to manufacture drugs such as methamphetamine. The law places limits on the amount of pseudoephedrine or ephedrine base in any single transaction over a 30-day period. Violation may result in up to 12 months jail time. Production of meth or crack cocaine can come with much larger sentences, especially if accompanied by charges of intent to sell. Ultimately the penalty for possession of illicit substances depends on various factors including the amount and type of drugs found, whether or not the person has previous criminal offenses, and intent to distribute. While many states throughout the U.S. have instated Good Samaritan laws (laws that absolve people of facing legal repercussions or jail time for seeking help from a medical professional for overdose prevention for themselves or others), Kansas does not currently have Good Samaritan laws put in place. Good Samaritan laws have shown to be effective in states that have enacted them, as people are more likely to seek life-saving help if they’re not worried about legal consequences. 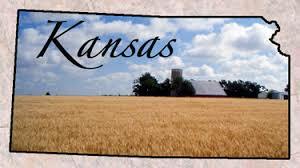 From 2001-2007, Kansas saw an 800% decline in meth lab seizures, due to nationwide efforts to control meth labs involving laws to return medicines containing pseudoephedrine (PSE, a main ingredient in the production of methamphetamine) to prescription-drug status in 2006. Since the initial decline, the number of meth labs has begun to grow again, due to “smurfing”, or the bulk purchase of PSE, as well as “one-pot” labs, that are smaller and more mobile. Since the initial steep decline in meth lab busts, Kansas meth lab numbers rose 48% between 2007 and 2012. Methamphetamine is a synthetic stimulant that is most commonly produced in home “labs”. Meth is highly addictive, but addiction can be overcome with proper treatment. Methamphetamine use can cause feelings of extreme euphoria, decrease appetite and increase energy. Its effects are longer lasting than cocaine, with the high typically peaking around 2-3 hours after use. Prolonged or consistent use of meth may lead to a progression of negative physical effects, including severe weight loss and malnutrition due to loss of appetite, skin ulcerations as a result of compulsive scratching or picking at skin, severe dental problems known as “meth mouth” and disorders of the kidneys and lungs. Some people experience psychological problems resulting in changes of their personality, and the development of a paranoid schizophrenia-like psychosis. The physical effects of methamphetamines can be fatal without proper treatment. Cocaine is a highly addictive stimulant derived from the cocoa plant. When cocaine is cooked with a base agent such as baking soda or ammonia, it forms a hard rock that can be heated and smoked, resulting in crack cocaine (also known as crack). Crack is much cheaper and more accessible than pure cocaine, and is used more frequently in urban areas. Crack cocaine lends itself to initial feelings of of euphoria and energy. It is possible to become addicted to crack cocaine or even overdose after just one use. Since the high is short-lived, people who use crack are often left chasing the high in a cycle of using, crashing, and seeking their next fix. Prolonged or consistent use of crack cocaine can lead to severe weightless and malnutrition due to loss of appetites, auditory hallucinations, movement disorders, sudden heart attack, stroke, and potentially death. Those who try to quit crack cocaine often experience extreme depression, but it is possible to recover from addiction with help from experienced professionals. Over the past 15 years, Kansas has seen a shift in the primary substance abuse demographic. In the past, the majority of addicts or treatment seekers had been adults. Presently 30% of those seeking treatment are 18-25, and many are even younger. In a 2009-2013 study, 89% of individuals age 12 or older suffering from drug abuse or addiction did not seek or receive treatment. Of those in need of treatment, more 66% were young women. While there are many treatment options for young people in Kansas, there’s a severe lack of substance abuse research, policies, and programs aimed at Kansas’ youth struggling with substance abuse, and there are on-going stigmas surrounding substance abuse and addiction that prevent parent and teens from seeking help. If you or a loved one are seeking substance abuse treatment, we’re here to help. The first step of any substance abuse or addiction treatment program is assessing the individuals relationship to the substance to determine whether addiction is present, and to what degree. A rehab professional will ask a series of questions to better understand their individual needs. During the evaluation, a healthcare professional may examine any physical or psychological symptoms which may have developed as a result of substance abuse. The professional may also ask probing questions in order to gather a list of symptoms that the affected person displays. The professional can then evaluate the results whether or not an individual is partially or fully addicted to one or more substances. After the assessment, the treatment professional or team of professionals can more accurately advise on the most appropriate treatment method for the individual. The questions asked during assessment help them know the addiction treatment required and whether you or your family members have any co-occurring disorders that resulted from or contribute to the addiction. Before admittance to any rehabilitation center, patients must take a pre-intake assessment. The process typically involves documenting the patients’ history with drug use frequency and length, physical examinations, and recording signs and symptoms of the substance abuse. In some cases, a rehabilitation professional may perform lab tests to establish the amount of substance or substances in the patients’ body. Other factors considered include gender, age or even religious beliefs of the patient . Family members may also be consulted to give information, support, and recommendations for providing the best care for the addicted family member, as well as themselves. After obtaining these details, the rehabilitation professional can determine whether the patient treatment admission as an inpatient or outpatient care is recommended. Once a patient is admitted to substance abuse or addiction treatment, it is necessary to undergo detox. Detox is different for each person, and the process varies depending on the substance or substances used, length, and duration of use, and progression of addiction. While some find they’re able to detox from substances at home on their own, it’s recommended to undergo detox while in the care of a rehabilitation or medical care professional. Those who undergo supervised and assisted detox have increased chances of remaining sober. Remaining under the care of a trained detox professional in a drug-free environment can also make the detox process easier and more comfortable both physically and psychologically easing the withdrawal symptoms and reducing temptation and ability to relapse, setting the stage for a long-term sober living situation. Methamphetamine withdrawal is not physically damaging, provided the individual does not become emotionally unstable and engage in self-harm. There are no FDA approved medications specifically designed to ease meth withdrawal symptoms, though anti-depressants are commonly prescribed to help with the depression symptoms many users face when detoxing. In rare instances, those detoxing from crack cocaine have experienced seizures or heart problems, but typically the physical symptoms of crack cocaine withdrawal are manageable. Many people detoxing from crack experience extreme depression and feelings of hopelessness. Medical or substance abuse treatment professionals can prescribe antidepressants to help alleviate these feelings and ease the detox process. There are two primary types of treatment facilities: Inpatient and Outpatient treatment. Inpatient treatment types can be further broken down into three different categories of treatment: RTC, PHP, and IOP. Many treatments include education, spiritual practices, individual and/or group therapy, family therapy, specialized support groups, and 12 step program integration. Your healthcare and treatment professionals will help you determine what type of treatment is best for you. Residential Inpatient Treatment Centers (RTC) are full-time, intensive treatment programs designed for the most serious and severe addictions. Often recommended for addicts who need 24/7 supervision or are likely to have medically dangerous withdrawals during detox, they’re the most involved forms of treatment centers. Intensive individual and group therapy, counseling and support groups sessions are often mandatory, and constant medical supervision is often provided. RTC facilities are live-in treatment centers, where care is provided at all hours of the day and night. This form of treatment center allows patients recovering from addiction and substance abuse to focus solely on recovery and removes the temptation and ability to relapse by providing a safe and secure, controlled environment free from drugs and alcohol. Residential Treatment Center programs can last anywhere from 28 days to 6 months. During this time, patients live at the facility full time, away from family and friends. Patients are not permitted to leave the center for school or work, although some RTC programs do award the privilege to leave the facility or family visits after a period of time. This type of treatment is most appropriate for the most severe and complex addictions, those with severe co-occuring disorders, and for those who have been abusing heroin or opiates in large amounts or for a long period of time. Partial Hospitalization Programs (PHP) combine the benefits of a residential inpatient treatment with an intensive outpatient treatment. PHP programs offer intensive individual and group therapy and specialized counseling for a minimum of 6 hours per day, 5 days a week, and allow their patients to go home at night. These types of treatment facility are helpful for people with supportive home environments. Ideal for patients with families to care for at home, these programs offer the support of daily treatment with the freedom of a home life. Outpatient treatment options vary from facility to facility, but often offer more freedom than inpatient treatments. These treatment options can be less successful at maintaining recovery, and see a higher relapse rate. Outpatient treatment programs can be a good option for those who are fully committed to kicking addiction once and for all, or who have previously attended inpatient treatments and seek continued help. Many outpatient programs offer the ability to continue one’s day-to-day life with minimal adjustments, involving a few hours of individual or group therapy per week. Those who participate in outpatient treatments must have a strong will and be disciplined to change their addictive behaviors. Intensive Outpatient Programs (IOP) offer structured support of inpatient therapy, with the freedom of an outpatient program. Typical outpatient programs consist of 10-12 hours of group and individual therapy per week, allowing the individual to continue their daily obligations with minimal interruption, attending school or work during the day and seeking counseling in the mornings or at night as is fitting. IOP programs work best when the patient has already attended a detox facility. Upon completion of a substance abuse treatment program, an aftercare program is recommended to maintain sobriety. Aftercare programs provide continuing support to recovering addicts in an effort to prevent relapse and integrate skills learned in treatment into their daily lives. Quality aftercare programs address the patients relationships, childcare, housing and financial situations, legal situations, employment opportunities, medical needs and mental health. Aftercare programs might include 12-step program attendance, one-on-one support, specialized therapy sessions to address co-occuring illnesses, and family or group therapy sessions. Whether you’ve completed an inpatient program or participating in an outpatient program, sober living can provide you with structure and support while you recover from addiction. Sober living homes are clean living environments in which residents are all in staged of addiction recovery. Some sober living homes are staffed, while others thrive on peer support from other residents. Sober living environments typically have rules and guidelines in place to ensure the continued sobriety and relapse prevention of it’s residents. These rules may include a curfew and required random drug testing, as well as mandatory or suggested 12-step meetings. You may need to work and complete chores around the house. You may be required to pay rent or contribute to the sober living home or community in other ways. Sober living environments are a good way to transition back into day-to-day life. Living among other people who share your struggles and challenges can give you support as you navigate through work and family life.The rules in a sober living community provide structure, and contributing to the household can give you a sense of purpose and community.